HM Queen Mathilde of Belgium Attends a Seminar in Brussels. 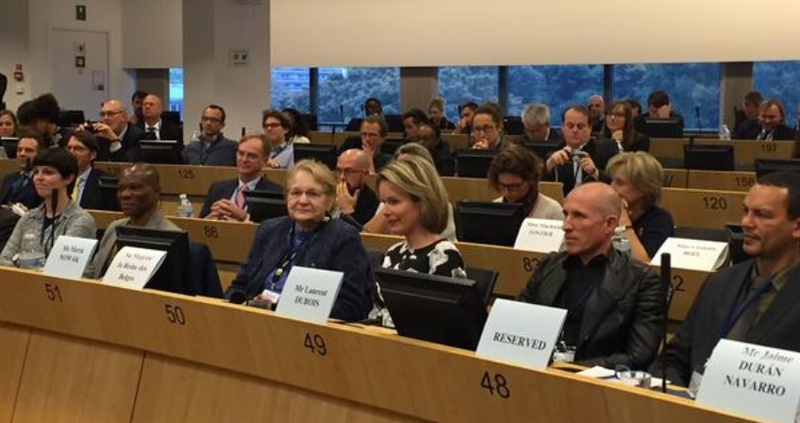 On the afternoon of Monday, October 19, 2015, Her Majesty Queen Mathilde of Belgium attended the 1st Edition of the European Microfinance Day high-level opening seminar held at the Comité Économique and Social Européen in Brussels. Today’s seminar, organized by the European Microfinance Network (EMN) and the Microfinance Centre (MFC), aims to raise awareness of microfinance as a tool to fight social exclusion and unemployment in Europe. Previous (VIDEO) The Last Days of Mary, Queen of Scots. Next (VIDEOS) News Regarding TMs King Felipe and Queen Letizia of Spain.